the alphabets her younger sister was studying and practiced them by scribbling in the garden. She learned to read and write using her feet and eventually launched an award-winning literary career. Ghimire promotes a message of self-sufficiency and empowerment for women. 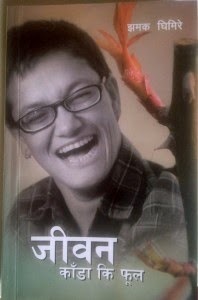 She has penned many anthologies of poems, stories and essays besides regularly contributing to newspapers as a columnist as She is columnist at the Kantipur newspaper.“Through her column, her potential has been acknowledged – nationally and internationally – not just because she can write with her feet, but because her writing is effective and efficient compared to the contemporary analytical litterateurs,” says Govinda Raj Bhattarai, a professor and writer who helped launch her book of autobiographical essays. Her several feet-written interviews have been published by various media, one which helped launch her literary career. In addition to working as a columnist, Ghimire has written about a dozen books in Nepali, including four collections of poems, a collection of essays, a collection of articles, an autobiography and two collections of stories that are currently on sale in the local market. 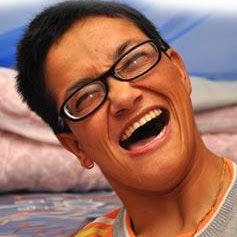 She has won a number of national awards.She has won nearly a dozen national and regional literary awards since 1998, including one from the Nepali government. 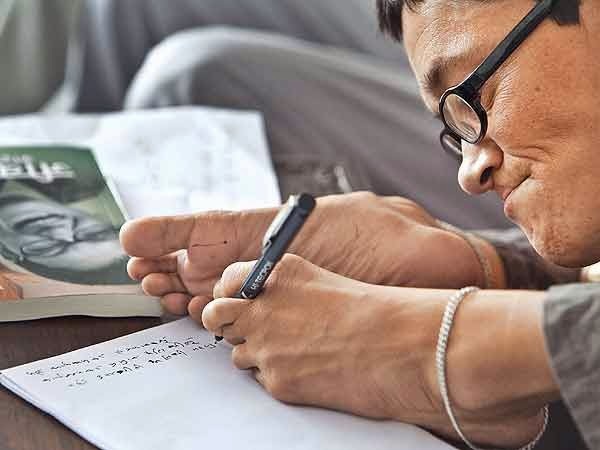 Despite being decorated with so many awards, Ghimire still considers the day her first book – a poetry collection – was published as the happiest day of her life. Ghimire says that her earnings from her books have helped to support her family. But she says that because of patriarchal traditions, her family doesn’t like to acknowledge the financial contributions of their daughter. Now, Ghimire types her articles on the computer with her feet and can access the Internet for information. She and others say her story shows this. “In the past, I was a nuisance and a troublemaker for all, but the situation has changed today,” she says.